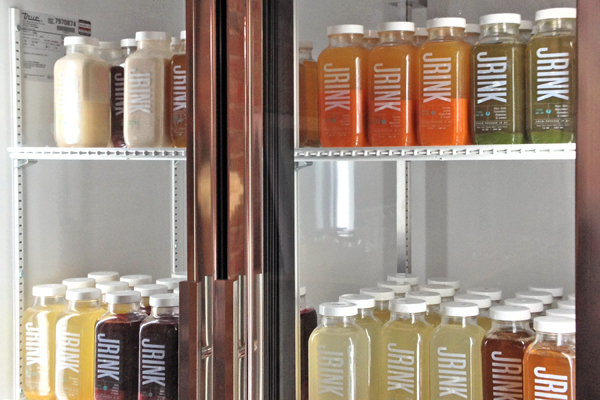 Since early 2014, JRINK Juicery has done wonders to satisfy Washington DC’s cold-pressed juice fix, offering fresh bottles via a delivery service and through local retailers. After receiving an enthusiastic welcome, JRINK opened its first brick and mortar store in the heart of Dupont Circle. 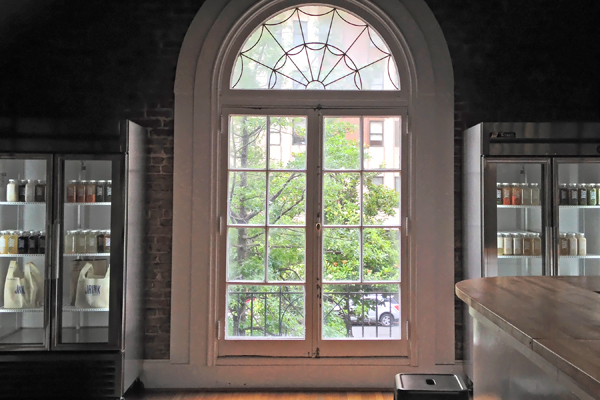 Located in a gorgeous second-floor space adjacent to Epic Yoga, JRINK has established a gorgeous, relaxing, healthy refuge in DC. 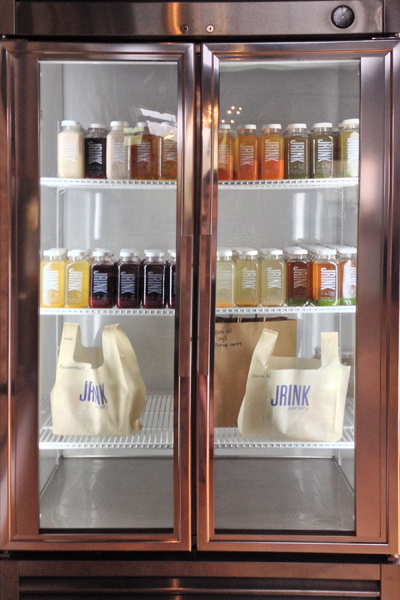 Visitors to JRINK Juicery’s Dupont Circle location will be taken immediately by the refrigerators filled with fresh, colorful bottles. These juices range from simpler combinations like Wake Me Up (orange, carrot, grapefruit, ginger) and Sweeten Me Up (pineapple, apple, mint) to more advanced blends like Fuel Me Up II (apple, spinach, cucumber, broccoli, parsley, ginger) and Pick Me Up (beet, carrot, orange, apple). JRINK also offers nut milk blends, like Build Me Up (almond, vanilla, agave, cinnamon, water), for those seeking something a little more hefty. The Fuel Me Up II proved to be a deliciously complex green juice, packed with rich, leafy greens and herbs, a hint of zesty ginger, and a touch of sweet apple. The cool scent of cucumber dominates, and the rush of vitamins gives a nice, energizing kick. JRINK sources locally whenever possible, and all juice ingredients are fresh and naturally gluten-free. Cofounders Shizu Okusa and Jennifer Ngai, who initially met in the high-stress world of investment banking, long ago recognized a serious need for fresh, high-nutrient juices. JRINK is perfect for busy urbanites, with six packs that are ideal for keeping fueled through an action-packed week and three-day reboot packages for those looking to detox. JRINK also continues to offer its delivery service throughout the DC area (call for specifics), which makes staying healthy impossibly convenient. 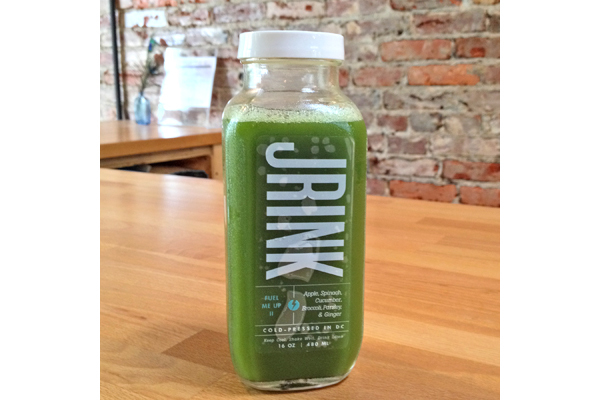 Disclosure: JRINK Juicery kindly provided me with a complimentary beverage. All opinions expressed are my own. Where? JRINK Juicery is located in Northwest DC: 1323 Connecticut Avenue NW, Washington, DC (202-280-0302). Categories: Gluten-Free North America, Gluten-Free USA, Gluten-Free Washington DC • Tags: health food • No Comments on JRINK Juicery: Washington, D.C.